DERIVED from 79 different HIGHER PLANT SOURCES. THE BOTANICAL ANTIBIOTICS DISCOVERED to date include 79 plants successful in killing MRSA, ATCC culture 33591 (Methicillin-resistant Staphylococcus aureus), with zone diameters ranging from 6-30 mm. 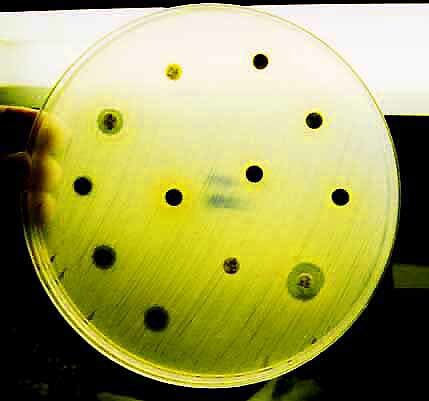 Six plants successfully inhibited DRSP, ATCC culture 49619 (Drug resistant Streptococcus pneumoniae), with zone diameters ranging from 8-12 mm. Two plants successfully inhibited VRE, ATCC culture 51299 (Vancomycin-resistant Enterococcus), with zone diameters ranging from 7-9 mm. Six plants successfully inhibited ACNE bacteria, ATCC culture 11827 (Propionibacterium acnes), with zone diameters ranging from 7-22 mm. Phone (650) 325-7333 FAX (650) 325-4056. I am looking for a partner or partners to bring these products to market. Topical acne and topical MRSA medicines, plus a potential inhaler for treatment of drug-resistant Streptococcus pneumoniae infections. in only 12 hours after the first application. Updated April 21, 2016. Back to Craig Dremann's main Contents page.